That only one out of every two littered plastic bags is a plastic grocery or retail carryout bag! That over three years of litter surveys, only 2,913 plastic retail carryout bags were recovered with most coming from litter “hot spots”. That is an average of 1,000 plastic bags per year, or less than the annual consumption of plastic grocery bags by just 2 people out of San Jose’s population of more than 1 million people. That those 1,000 plastic bags per year represent only 0.0005% of the 500 million plastic bags used per year in the city of San Jose. 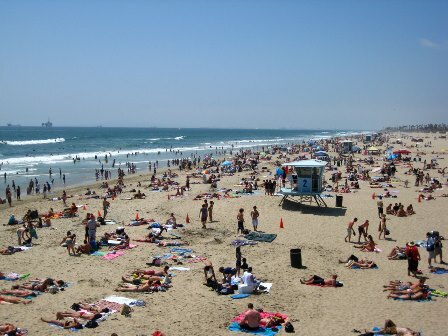 The City of Huntington Beach is absolutely right in repealing the ban on plastic bags and fee for paper bags. First, the magnitude of plastic bag litter is so small it does not justify a bag ban. Second, banning plastic bags at most eliminates only 50% of littered plastic bags. Third, Bag Bans impose costly and burdensome regulations on stores and shoppers. Fourth, Bag Bans do not solve litter problems; in fact the impact is negligible. Council-member Mike Posey and the other council-members who voted to repeal the bag ban are to be commended for standing up to misguided and naive bag banners who seek to impose their will on the American People and take away their hard fought freedom, liberty, and their personal choice about what kind of shopping bag to use in taking their groceries home. Recommended Reading: Readers are encouraged to read our article titled “The California Plastic Bag Ban Scam” where we show that the California Bag Ban including local bag bans are nothing more than a scam perpetrated upon the people of California by special interest groups in concert with misguided Bag Banners. You are part of this happening. Good work, good and faithful servant!